What granite countertop cleaner do you use? Is it safe for natural stone? How often do you use it? Can you use something else? I could keep going and going and I'm sure you have many other questions about how to maintain your granite countertops. 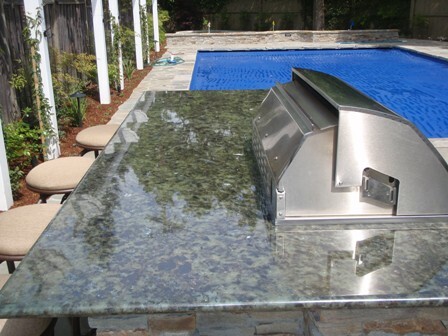 First of all I want to say, relax, granite is very hard and durable and can be cleaned easily with just hot water. 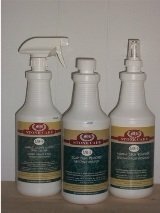 If you have been cleaning your granite countertops with hot water and sponge and are tired of leaving streaks. Here is product that is great for granite, marble, limestone, travertine all natural stone. Also great for Corian® and man made stones like Silestone®, and Caersarstone® and don't forget glass and stainless steel. Yes not only your countertops, but all your delicate surfaces like kitchen and bathoroom fixtures as well as all your stainless steel appliances. 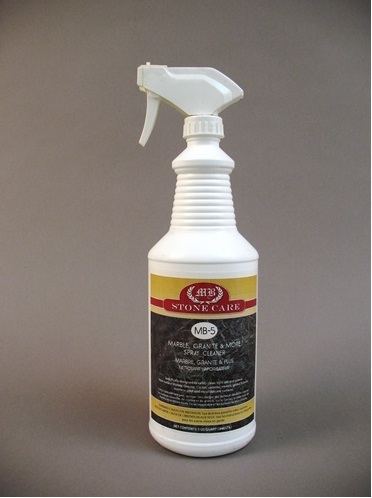 Remember using products like windex or anything acidic like vinegar, may not damage the granite right away, but can break down the sealer that helps protect your granite from potential staining, and even dull the granite over time. 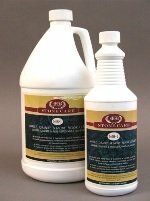 This granite cleaner is great for light duty cleaning and safe for cleaning multiple times a day. 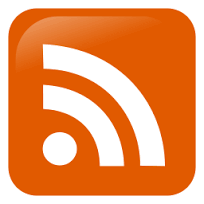 It safely removes fingerprints smudges and food products from your countertops. When you learn how to take care of granite countertops you will have nothing to worry about and will feel at ease with maintaining them. As a home owner the most damaging things you can do to your granite countertop is either scratch them or stain them.